(with Lightsaber, Lightsaber Blade, Display Stand) Aayla Secura is an empathic and highly intelligent Jedi Knight with impressive fighting skills. During the Clone Wars, she leads a battalion of clon. . .
(with Lightsaber Blade, Lightsaber Hilt, Removable Cloak, Removable Sleeves, Spoiler, Display Stand) Jedi Council member Agen Kolar fought bravely at the Battle of Geonosis. Mace Windu considers him . . .
(with Blaster Rifle, Display Stand) Ask Aak is a Gran, from the outworld of Malastare. Just before the start of the Clone Wars, he supported the Military Creation Act and was part of Chancellor Palpa. . .
(with Clone Trooper Helmet, AT-TE Tank Helmet Pads, Blaster Pistol, Sniper Pistol, Harness, Display Stand) These elite clone trooper specialists received advanced training under ARC troopers on Kamin. . .
(with Cloak, Blaster, Display Stand) Bail Organa, a senator from Alderaan, sees how the Republic is being ruined. When the situation becomes even more treacherous for loyal members of the Republic, h. . .
(with Blaster, Blast Effect, Backpack, Display Stand) Sent throughout the galaxy in countless numbers, battle droids are the foot soldiers of the Separatist army. Serving Count Dooku and his Confeder. . .
(with Removable Limbs, Display Stand) At last, the protocol droid C-3PO receives his complete body shell. He and his companion R2-D2 find themselves in the midst of tumultuous circumstances in their . . .
(with Cloak, Target Blaster, Headgear, Display Stand) Under the command of Senator Bail Organa, Captain Antilles retrieves a Jedi homing device beacon, which may help the Senator as he attempts to wa. . .
(with Cloak, Binders, Display Stand) Supreme Chancellor Palpatine is captured by Separatist forces and held captive on an enemy cruiser. Obi-Wan and Anakin come to his aid in a daring and dangerous r. . .
(with Lightsaber, Cloth Cape, Removable Hands, Removable Head, Display Stand) Count Dooku is the leader of the Separatist movement. 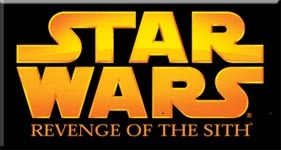 A renegade Jedi, Dooku has torn apart the galaxy with his plan to b. . .
(with Lightsaber, Lightsaber Blade, Cloth Robe, Belt, Display Stand) Ki-Adi-Mundi is a member of the Jedi Council and a Republic General in the Clone Wars. Trained in the Jedi arts by Master Yoda him. . .
(with Lightsaber Blade, Lightsaber Hilt, Removable Head, Display Stand) Kit Fisto is a Jedi Master of great skill and vision. He can breathe underwater, making him well suited for missions above and . . .
(with Lightsaber, Lightsaber Blade, Cloth Skirt, Display Stand) Luminara Unduli is a trusted advisor to the Jedi Council and a formidable opponent with a lightsaber. An extraordinary Jedi warrior, Lu. . .
(with Staff, Ceremonial Headdress, Cloak, Removable Tongue, Display Stand) Mas Amedda was Vice Chair of the Galactic Senate under Chancellor Valorum and is now Supreme Chancellor Palpatine's major do. . .
(with Blaster, Display Stand) Meena Tills represents a planet torn by civil war. He watches in concern as Chancellor Palpatine gains more power and appoints regional governors. He is an ally of Senat. . .
(with Helmet, Baton, Display Stand) A member of the Galactic Senate, Mon Mothma is troubled by the expanding power of Supreme Chancellor Palpatine. She secretly begins to assemble groups that will ev. . .
(with Cloth Skirt, Blaster Pistol, Display Stand) Padmé comes to realize that her beloved Anakin is falling to the dark side of the Force. She makes a desperate attempt to convince him to retu. . .
(with Lightsaber, Display Stand) Jedi Master Plo Koon is a member of the Jedi Council and comes from a long line of Jedi. 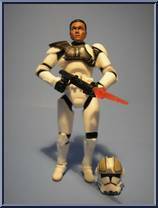 Serving as a General in the Clone Wars, he leads a squadron of Republic star . . .
(with Lightsaber Blade, Lightsaber Hilt, Display Stand) Jedi Master Plo Koon is a member of the Jedi Council and comes from a long line of Jedi. Serving as a General in the Clone Wars, he leads a bat. . .
(with Blaster, Communicator, Headset, Display Stand) Polis Massans are known throughout the galaxy for their extraordinary medical skills. They are compassionate and value freedom highly. Obi-Wan tur. . .
(with Display Stand) R4-P17 is an astromech droid that accompanies Obi-Wan Kenobi on the Jedi fighter. Handy and well equipped, this droid is ready to repair any damages to the ship. (with Cloth Cloak, Blaster Pistol, Laser Rifle, Display Stand) The Royal Guard is Coruscant's most elite security force. During his rise to power, Palpatine seized control of all senate security, con. . .
(with Lightsaber, Lightsaber Blade, Cloth Skirt, Display Stand) Jedi Council member Saesee Tiin is well known for his exceptional starfighter piloting skills and daring space battles. His telepathic . . .
(with Lightsaber Blade, Lightsaber Hilt, Datapad, Display Stand) Jedi Master Shaak Ti is an esteemed member of the Jedi Council and serves as a General in the Clone Wars. Like all Togruta, she has lo. . .
(with DC-15 Blaster, Removable Helmet, Display Stand) These clone troopers accompany Darth Vader on a mission to destroy the Jedi. Vader and his highly trained tactical ops troopers storm the Jedi Te. . .
(with Blaster, Display Stand) Governor Tarkin controls the Seswana sector, which forms a strong defense perimeter against Separatists during the Clone Wars. He has a keen interest in special weapons . . .
(with Battle Shield, Battle Staff, Display Stand) The Utapauns wish to keep their homeworld out of the Clone Wars. But when they cannot prevent the war from overtaking Utapau, they fight vigorously t. . .
(with Display Stand) Galactic Chopper droids specialize in prosthetic engineering and biomechanics. The tripedal design increases mobility, and modular appendages allow for different limbs to be atta. . .
(with Bowcaster, Projectile, Grappling Hook, 2 Photon Grenades, Tunic, Belt) Wookiee gunners defend the beaches of Wawaatt Archipelago on the coastal city of Kachirho against an amphibious Separatist. . .
(with Lightsaber Blade, Lightsaber Hilt, Display Stand) This ten-year old Padawan is one of the most promising students in the Jedi Temple on Coruscant. The young boy finds himself in the middle of a. . .